California E-Liquids prides itself on the highest quality of vape juice, and they have maintained their high level of quality with Grizzle Apple. Sweet and delicious, this blend of Red Delicious, Granny Smith, and Fuji apples create the ultimate apple experience. 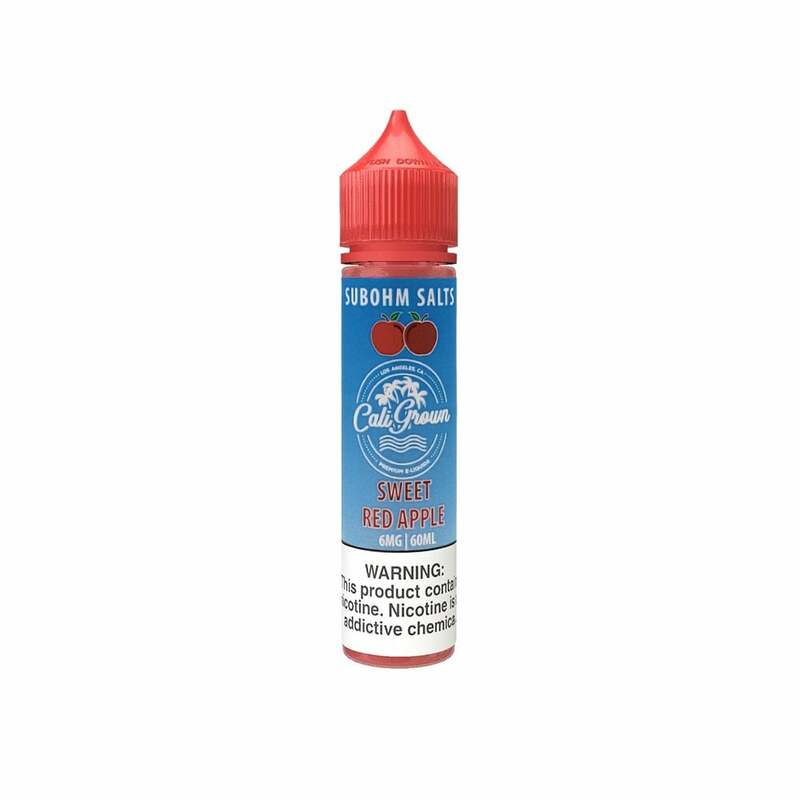 You can practically taste the crunch of these sweet apples, the nic salts adding an extra level of satisfaction to your experience. California E-Liquids Grizzle Apple 60ml Nic Salt Juice comes in 60ml and is compatible with sub-ohm devices. It's available in multiple nicotine strengths; 18mg (1.8% nicotine), 12mg (1.2% nicotine), 6mg (0.6% nicotine), 3mg (0.3% nicotine) and 0mg (nicotine-free). Just what it says: a crisp, somewhat tart apple flavor. My absolute favorite juice and great low nic choices.